Just returned from staying at the Venus Hotel. Had a nice relaxing time there. The breakfast food is not over the top full on english, but you can order omlettes or fried eggs if you wish. The room was comfortable and clean.Will be going back again sometime. I love everything about this hotel, the location, the staff, the rooms and breakfast, you are always made to feel welcome and nothing is too much trouble, as I have been a few times now you get to see some familiar faces as they must return year after year also, it's really good to make new friends, I cannot wait to get back, 8 weeks today and I will be there for 2 weeks, love it. We loved everything about the hotel, great room, great restaurant, great bar (3 euro cocktails!) great staff, great(but freezing) pool, the best location by far! hi gettin nearer to our holiday now only 3 more weeks to go,,,, can't wait to get there it's been a long time since we were last there (2006)....kids gettin excited and can't wait to meet new friends ... se you there ! Hi, Claire. The Venus does have fridges in the rooms. 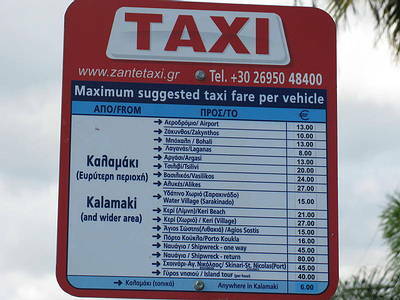 You have to pay for them if you have booked with a tour operator. If you book directly with the hotel, it comes with the room cost. Can't remember the price for fridge hire as we only went on a package on our first visit and have booked direct since. I don't think there's a kids' club. You might have to travel a bit outside the resort for entertainment for your teenager but taxis are reasonable and the buses good too. Hope you enjoy your stay. It's a lovely, friendly hotel. Hi all..... getting very excited and on the countdown till our holiday(5 weeks on friday)... just a quick question , have the rooms got access to a fridge as we have a 2 year old that loves milk and i need to keep it cold.... r can we hire them ?? I just want to echo all the previous comments, we are about to travel to the Venus once again, where we know we are not just a room number, this will be our 5th stay at the Venus and we are soo looking forward to seeing everyone Nick, his staff and family and all the friends we have made too. The Venus Hotel is THE very best. Just got home from another excellent holiday at this well run hotel. Congratulations to Nick and all the staff for making our holiday so enjoyable. Each year more and more people return and it is great to see them all. This says everything about this hotel. See you all in Sept. 2011. Excellent stay at the Venus once again. Congratulations to all the staff for making our holiday an enjoyable one. The amount of people who return to this hotel year in year out says it all. See you in Sept. 2010. We arrived on July 9th 2009 looking forward to another good holiday. This was the first time that we booked direct with the hotel and found it very cost effective compared to previous visits via a holiday package. The facilities as usual were first class and we found the Venus Kitchen a welcome addition. This meant we could dine at the hotel if we didn't fancy going elsewhere. The staff yet again made us feel part fo the family, as they always do. It was nice to meet Barbara again and Mary was as bubbley as she always is. Lynne, Christalou and Maria looked after us with thir customary friendliness and efficiency. We did have all good intentions of having a few early nights, they WERE few due to the efforts of Donna and Spiro abley assisted by Nick, we have finally got the booze out of our systems. We would also like to thank Nick whose communication prior to our visit was first class and wish him all the best with his plans for the future success of the hotel. It was also nice to meet up with some old friends namely Eric, Nina, Dave, Tina and Gazza's daughter Lindsey. It was again another occasion for making new friends from Scotland Norry and Linda. We will be back again next year to resume our place as part of the Venus family. Fantastic hotel, staff make you feel very welcome, great with children, nothing is too much trouble. Hotel is ammaculately clean, rooms cleaned every day, pool and pool area spotless, plently of sunbeds to go around. Hotel snacks very good, varied and reasonably priced. Going back for another holiday this Sept 09 - really looking forward to it. TopTip: book direct with hotel, you get the following benefits: fridge, air-con & safe, airport pick up and drop off, 10% off all hotel food & drinks and a further discount off your next holiday if you book again before you leave - you dont get any of this if you book through an operator, everything is extra. I would say Kalamaki is for families and couples, for the younger generation Laganas is a 7 euro taxi ride away, close enough to go clubbing every night but far enough away not to affect Kalamaki. Lots of restaurants to choose from and a good selection of bars. The beach is a short walk away, beautiful and clean (has to be due to the protection of the logggerhead turtles). We have never returned to the same hotel on our holidays before, but the Venus Hotel makes you feel so welcome, relaxed and comfortable you want to come back again. 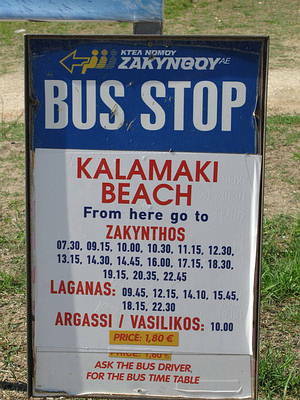 Just 81 days to go before we arrive in Kalamaki yet again (5th time). As usual staying at the Venus hotel, which in my mind is the best place to stay. Very friendly welcome, your made to feel part of the Venus family. The rooms are excellent, snack bar has plenty of variety and more importantly the staff are very friendly andefficient. Can't wait, but I suppose i'll have to. Once again had a fantastic 10 night stay at the Venus in May, thank you to all the hotel staff for making our stay a great one!! Had a great stay at the Venus Hotel last September, the hotel is fantastic very clean and well maintained, the staff are very friendly and helpful too!! Can't wait to get back in 5 weeks time!! 23rd May 08!! woohoo!! Another excellent holiday at this wonderful hotel. All the staff from Nick to the cleaning ladies ensure that your stay is perfect. Well done to you all and see you again next September.